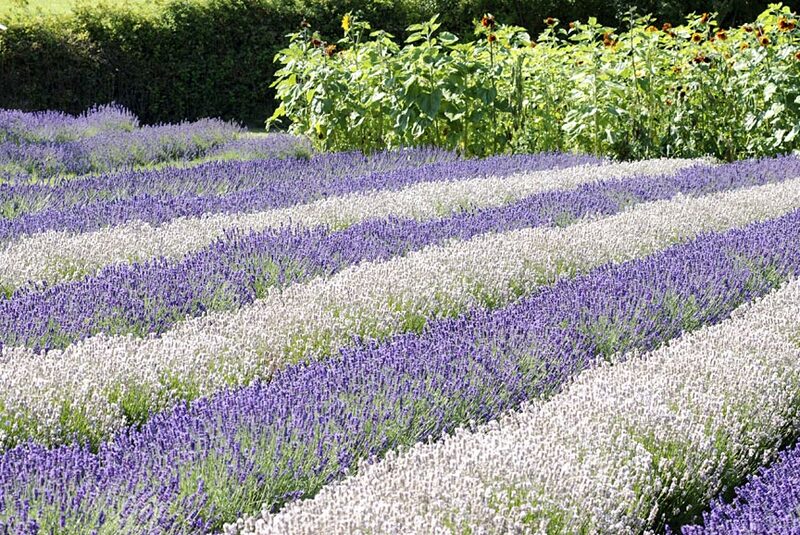 Come Celebrate Sequim Lavender WeekendJuly 18th through the 20th, 2014! Arguably the biggest event of the year, Sequim Lavender Weekend is back for its 18th year on July 18th through the 20th, 2014 – and there are a host of events for you and your friends and family to see, do, smell, touch, and taste! The Sequim Lavender Festival Street Fair will be located in downtown Sequim, on Fir Street between Third and Sequim Avenue. Attractions include original, hand-crafted and lavender themed arts, crafts, oils and soaps, lavender bouquets, buds, plants and more! There will be special activities for children, local bands for entertainment, a wide selection of food vendors offering everything from vegan fare to BBQ to crab cakes, plus lavender flavored margaritas, martinis, and local wines served at the Beer and Wine Garden. Be sure to look for some of our members’ wines! The Lavender Arts & Crafts Fair in the Park at Sequim’s Carrie Blake Park will include booths featuring hand-made crafts and natural lavender products, more great food, a wine and beer garden, live music, and limited Edition Farm Tour & Fair merchandise including caps, tees, art posters, and more. You can also get information and tickets for visiting the farms on the Heritage Lavender Farm Tour. The Sequim Lavender Festival Farm Tours include 7 different farms open to the public for free tours: Blackberry Forest, Graysmarsh Farm, Nelson’s Duck Pond & Lavender Farm, Martha Lane Lavender, Oliver’s Farm, The Lavender Connection, and Peninsula Nurseries. Get your map of the farms at the street fair or at any of the participating farms. Drive at your own leisure and pack a lunch to enjoy a full day of relaxation and lavender. The Farms will be open for free tours throughout the Sequim Lavender Weekend from 10am to 5pm. Visit five of Sequim’s iconic lavender farms for the price of one admission ticket: Jardin du Soleil Lavender Farm, Lost Mountain Lavender Farm, Olympic Heritage Lavender Farm, Purple Haze Lavender Farm, and Washington Lavender. Tour breathtaking fields of lavender, sample and purchase lavender products, participate in workshops & demonstrations, enjoy food, beverages, live entertainment, and more. The Sequim Lavender Welcome Center will be located at 7 Cedars Casino, off Highway 101 about 6 and a half miles outside of Sequim. Come in to pick up tickets for the Heritage Lavender Farm Tour and information about different attractions at the Sequim Lavender Weekend activities. Advance 3-day Tickets, 40% off! (purchased by July 17): $15 – 3-day Tickets (purchased July 18 – 20): $25 – One-day tickets: $10 – Active Duty Military (must have valid ID) and children 12 and under are FREE. Tickets can be purchased online at SequimLavender.org or at: First Federal (Sequim, Port Angeles, and Port Townsend), 7 Cedars Casino, Purple Haze Store in Sequim, Sequim-Dungeness Valley Chamber of Commerce, and any farm that is part of the Heritage Farm Tour. And – of course! 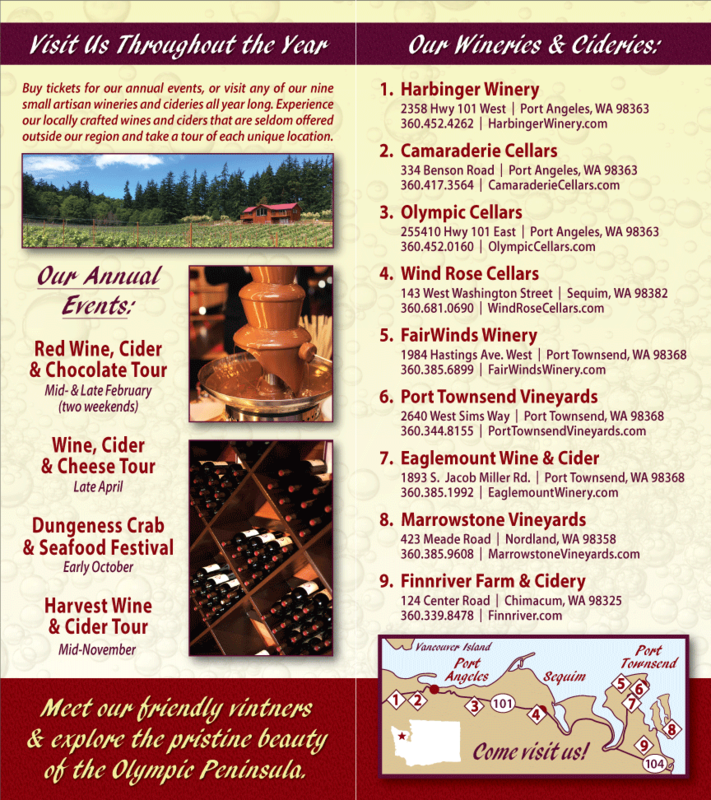 – be sure to look for member wines at the festivals and, if you have time, stop by any of our Olympic Peninsula Winery locations!